The CBI has become exceptionally proactive in its coal scam probe ever since Ranjit Sinha took charge, fuelling corporate fears of a witch hunt. Corporate India has a new bete noire - Director of the Central Bureau of Investigation (CBI) Ranjit Sinha. The country's senior most IPS officer, Sinha has come under fire from corporate houses for an FIR against one of India's well- known industrialists, Kumar Mangalam Birla and his company Hindalco, along with former coal secretary P.C. Parakh, for irregularities in the allocation of a coal block in Orissa. It is alleged that Hindalco was not qualified for the coal block allottment. Sinha, considered close to the Gandhi family, was made CBI director in November last year. He is personally overseeing the investigations into the Supreme Court monitored probe of the coal scam. According to the Comptroller and Auditor General (CAG), the government's decision not to auction 194 coal blocks between 2004 and 2011 lost the country some Rs 1.86 trillion in revenue. Earlier in June this year, Sinha had also filed an FIR against industrialist and Congress MP Naveen Jindal and former minister of state for coal Dasari Narayana Rao, and subsequently questioned them for their alleged role in the scam. CBI officials defend their actions and say they are able to proceed freely now, without any political pressure, because of the apex court's intervention. The agency is often seen as a tool in the hands of the ruling United Progressive Alliance. But this time Sinha's team has faced flak even from Congress ministers. Commerce Minister Anand Sharma accused it of needlessly stirring controversy. "CBI must not play to the gallery," he said. The FIR naming Birla is the 14th in the ongoing investigation. This is not the first time a corporate CEO has been booked, but both corporates and the political class seem wary of the implications of the move. Sharma, for instance, is worried that the case will further erode global investor confidence in the India growth story. "Any FIR without a particular reason against a respected businessman will invariably create a difficult environment for business," says Adi Godrej, Chairman, Godrej Group and former president of the Confederation of Indian Industry. Doing business in India was never easy, he adds. Firdose Vandrevala, Executive Vice Chairman, Essar Steel, agrees. "Overall sentiment has currently gone into "wait and watch" mode with everything that's happening and elections round the corner. I don't think India has the luxury to wait and watch." The Congress also has another reason to be apprehensive. Parakh has pointed out that Prime Minister Manmohan Singh himself approved the decision to allocate the coal block to Hindalco. Singh should be "accused No. 1", says Parakh. The prime minister's office in turn has clarified that Singh's approval was given purely on the basis of the coal ministry's recommendation. India has the world's third largest coal reserves of 286 billion tonnes, but state owned Coal India, which enjoys the monopoly to do so, has not been able to extract enough to meet the country's requirements. 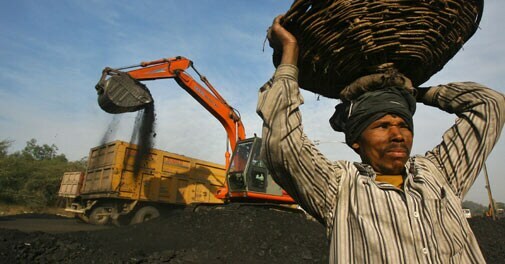 This forces India to import coal from Indonesia, Australia and South Africa. Last year, India imported coal worth $16 billion. This year the figure is expected to touch $20 billion. 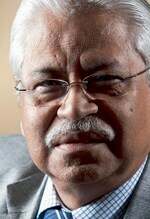 Analysts say the FIR against Birla and Parakh does not mention any quid pro quo or illicit transaction between the two. If the investigators are unable to establish this, under the relevant sections of Prevention of Corruption Act, the case may not hold, says a former chief secretary. "Then it would be a mere case of negligence of duty at the most," he said. Parakh was praised by the CAG in its report last year, which considered him a whistle-blower in the scam. "I believe Parakh is an upright officer but can't say this with confidence about Birla. Still, I believe that CBI should inquire into this for the common good. If they are clean, they will come out clean," says Prashant Bhushan, Supreme Court lawyer and leader of the newly floated Aam Aadmi Party. Sinha believes the agency has a strong case. The CBI has alleged in its FIR that the Coal Ministry Screening Committee's recommendation that the block be allocated to public sector units was ignored to "accommodate" aluminium major Hindalco. However, CBI officials maintain they are open to reconsidering their stated position should fresh evidence emerge. Debu Bhattacharya, Managing Director, Hindalco, discusses the CBI case against his company with Business Today Editor Chaitanya Kalbag. Hindalco Industries Ltd's Managing Director Debu Bhattacharya says that had he known how complex and fraught the process would be to set up an alumina plant and a smelter in Orissa, he would have never put it up. "I really don't understand where we went wrong. If anything, we have been at the receiving end," says Bhattacharya. The CBI has registered a case against former Coal Secretary P.C. Parakh and Aditya Birla Group Chairman Kumar Mangalam Birla under the Prevention of Corruption Act in connection with the allocation, in 2005, of the Talabira II and III coal block to Hindalco. "When there is a coal block available people are invited over the Internet on the site of the Ministry of Coal, and various companies apply. Who comes first gets certain brownie points. Indal was the first one off the block. I have not seen that application. I had no say in that," says Bhattacharya. Hindalco acquired Indal, the Indian subsidiary of Canadian aluminium major Alcan, in 2000. Four years earlier, Indal had applied for the Talabira II coal block. A screening committee was set up by the Ministry of Coal. Bhattacharya says the screening committee's decision was made in January 2005. "After we acquired Indal in 2000, we continued to pursue that," he adds. "Now I know from various sources that Neyveli Lignite Corporation got it." "On April 8, 2005, we signed a Memorandum of Understanding with the Orissa government to put up our project," says Bhattacharya. The government of Chief Minister Naveen Patnaik undertook to provide raw material, water, coal and electricity to the Aditya Alumina and Aluminium Project. "(However) we were told that we had lost the mine. I went to Naveen babu and asked if the state government would please take it up with the Centre, because we had been told we would get coal for the power plant." "I understand that Patnaik wrote to the Coal Ministry. He (told us), 'Don't just rely on my letter, you also follow up.' Now we come to Talabira III, which was given to Mahanadi Coalfields Ltd [a subsidiary of Coal India]. What Parakh [then Secretary in the Coal Ministry] says is that there was no barrier or wall between Talabira II and Talabira III - it was one rolling field. If you divide it into two distinct ownerships, there will be a wall, and you lose a lot of coal there - it could be 30 or 40 million tonnes. So the coal ministry for the first time said 'Why are you doing this Hindustan-Pakistan, why don't you form one joint venture so that there will be no barrier' - and they gave it to the three of us, Mahanadi, Neyveli and Hindalco." Bhattacharya says that on November 10, 2005, based on the merits of the case, the joint venture was approved, with Mahanadi taking a 70 per cent stake and Neyveli and Hindalco taking 15 per cent each. "I think it was a brilliant idea for the companies to have a joint venture because it also helped conserve coal for the country." "We have followed every step in the book to get that allocation," he adds. "Once we got the allocation we went full steam to put up the project. To the best of my knowledge, Neyveli has not put one brick on the ground, and we have already invested Rs 11,000-12,000 crore. The plant is up, and we are going to light up next week."